TD Bank released their latest data on the Canadian Real estate markets and provided their outlook on what’s to come. To little surprise, TD Bank forecasts a soft landing equivalent to that of Captain Sully’s landing of American airlines flight 1549 on the Hudson River. Below are some of the highlights from the report. You can read the full version here. 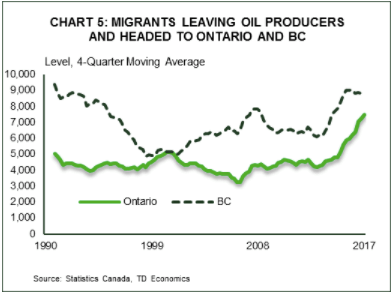 People migrating from other provinces such as Alberta, Saskatchewan, and Newfoundland into BC & Ontario has now peaked. This is likely due to rising housing costs and a lack of overall affordability. How will higher interest rates impact the market? 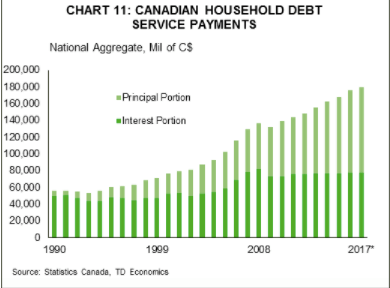 After 7 years the Bank of Canada finally increased interest rates, and is expected to continue on that path. TD says Canadians have seen a 40 basis point increase since July on the best 5-year mortgage rate available and they expect this to increase another 45 basis points by the end of 2018. 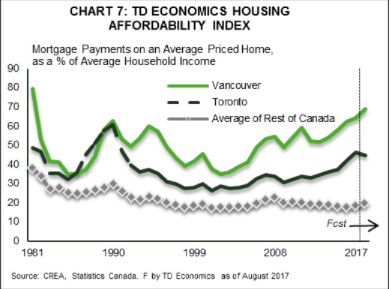 For obvious reasons, TD believes Vancouver is the most sensitive to interest rate increases and further expects these increases to weaken demand. It forecasts mortgage payments to increase in the coming year. Mortgage payments are expected to increase in Vancouver.